Midi : Pick from menu below! 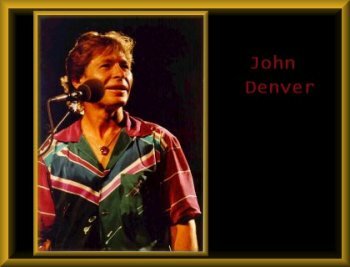 This site is for all who love John Denver the man and his music, and especially JAYDE, my dear friend. We cried together when he died. We'll all miss his great smile, and wonderful laugh. 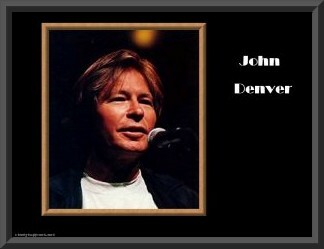 But he'll live on in our hearts forever, his smile in photo's, and stories of John Denver! With his touching and heart warming music.His music made us laugh, and cry. It did then, and even now, after his passing, bring people together! 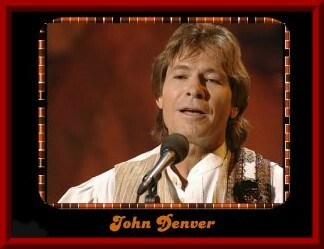 I think John Denver Fans are VERY special people! $20.00 -- $18 for a group of 10 or more bought at the same time. The Wheeler Opera House starting May 1st, 2004. Seating will be assigned seating. Tickets can be ordered online at: Wheeler Opera House or by phone at 1-970-920-5770. 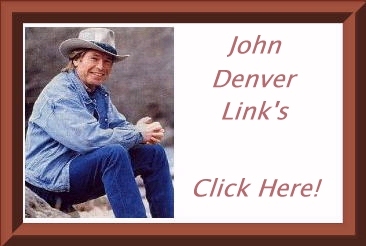 FOR MORE CONCERTS IN OCTOBER IN COLORADO------>Click here! Click on "image" above to download! "Instructions" included in zip file. Will need "Winzip" or another zip program to unzip. Click on photo of 'wallpaper' above you wish to download ! Wallpaper is MUCH clearer than shown above in photo! Note: If you are having trouble with downloading,please email me! START-UP AND WAIT, SHUTDOWN SCREEN'S..! Click on the photo of which screen's you want above to Download! Photo Pages! Click on Camera's below to see it! Above is a photo from New York's Central Park. It's of the JOHN DENVER MEMORIAL BENCH! Click ON PHOTO TO SEE MORE! 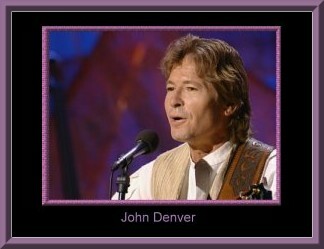 This is my JOHN DENVER LOGO..! To download to your computer and use on your site! This Chat Room is from Bravenet Services and really works well! After you click above, scroll down towards the bottom of the page, look for 'CHAT NOW' button and 'click' on it! Then just follow the easy instructions to enter..! LET ME KNOW OF ANY PROBLEMS! PLEASE..! Come join us in 'new' message forum! Click on 'floppy' disk below to download! This is my FIRST one I've made! Let me know what you think! Welcome to my "new" mailing list..! Please Sign up with my 'NEW" mailing list, for site updates! Fill out email address and click "Go" if you want to be notified of site updates!